One of the most famous alien abduction accounts is that of Betty & Barney Hill who were perhaps the first ones to go public about their encounters with extraterrestrial beings which at first came as a shock to them as they couldn't quite make sense of what had happened, however after many years now it seems like their encounter was perhaps not really of the malevolent kind as purported by the media. 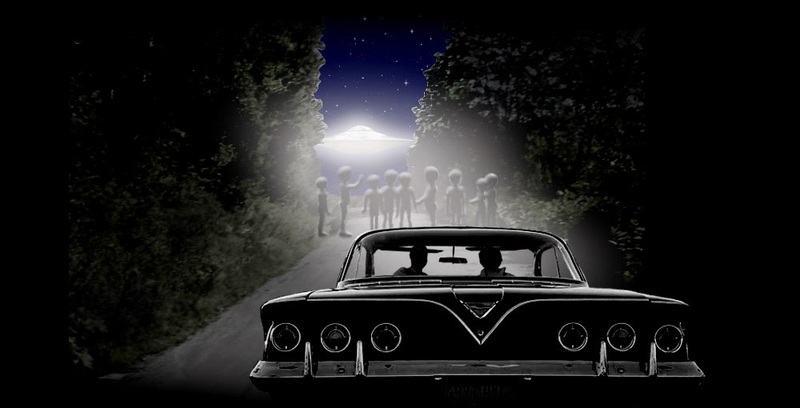 They have a deeper spiritual connection with these beings because of which they were contacted and taken aboard their craft. According to Bashar (An ET from the Essasani civilization Channelled through Daryl Anka), the fear experienced by abductees is due to hidden fears in their subconscious mind which come to the fore in the presence of these beings who vibrate at a much higher frequency. This is also said by Mary Rodwell who has been researching these alien abduction encounters for a while now. Betty confirms that these ET beings were quite human in their appearance (larger eyes, smaller nose, no protruding ears) and not the grey kind as the disinformation propaganda suggests. However, the star map which she drew under hypnosis couple of years after the incident, some believe point to the Zeta Reticuli star system as we call it. The only thing missing from Betty's account of the abduction experience is the description of malevolent entities as popular abduction scenarios suggest.